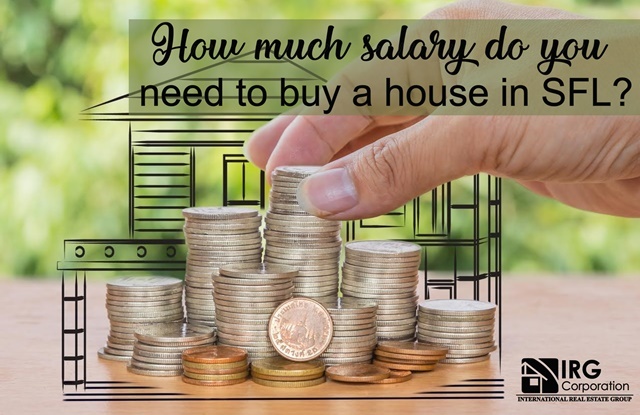 The ability that an average person can have to buy a house in South Florida is subject to certain parameters that are clearly differentiated throughout the state due to job opportunities, income according to your work and what is the ability to save or pay debts that each individual has. According to statistics from banks specialized in loans, it could be said that for a person to opt for a property of more than $ 300,000, he should earn around $ 71,000, so a family of two should each earn an average of $ 35,000 and this is directly due the lifestyle that is handled there, the increase in the demand for properties and a limited supply of them. Over the years, prices have been rising significantly as well as wages and income that a small family could have, but, the globalization of the area and the constant appearance of new prospects in search of houses has created a competition among buyers. which many times are just waiting for the word of the seller. Another factor that has influenced is the emergence of foreign investors who have chosen South Florida as the ideal place to find a place to live or simply acquire a rental property to obtain some kind of gain leaving the buyers in the background. locals who have to refine a little more their ability to find opportunities to acquire what they want. It is advisable to contact a professional who will advise you directly with everything you need so that the process of acquiring a property through some type of loan or having all the money come together in a good way allowing you to fulfill your dream of have the house you love so much. Writer, poet, essayist, biographer and English lexicographer.